In a written response to a recent outcry over Google Now's alleged battery-draining location tracking feature, the search giant claims reports of the abnormal behavior are incorrect as it uses low-power positioning assets that don't rely on power-hungry GPS. Google's statement, first posted on LifeHacker, takes note of the extensive testing an app goes through before Google releases it to the public. While clearly explained, the company does not want any misperceptions about the much-awaited feature coming to iOS, with the response starting out with some rather strong words. Reports that Google Now drains battery life are incorrect. 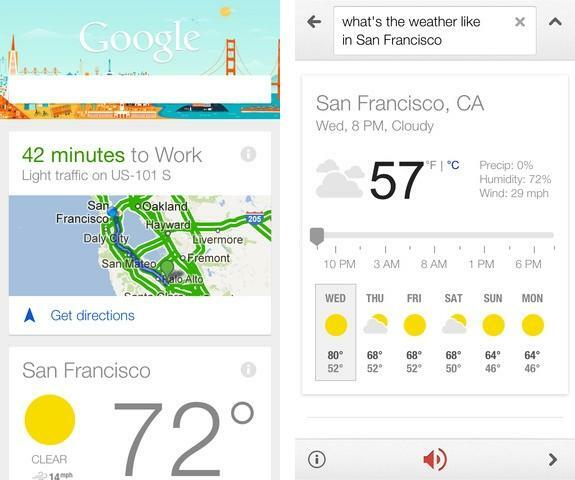 We understand peoples concern about seeing the Location Services icon stay on when they use Google Now. Many apps that keep the icon on actually do drain the phones battery because they require very accurate location. (For example a navigation app has to run your GPS all the time to keep you from missing your turn.) Google Now is built very differently: it uses cell towers and wifi hot spots for much lower battery impact. While true, the app is still using radio assets an iPhone wouldn't tap into during normal use. Google is correct in saying power consumption is nowhere near GPS usage levels, but Google Now is still adding to the battery duties with its positioning services. We extensively tested Google Now on iOS for months and didnt see reports of significant battery impact  we would encourage you to try it in the Google Search app for a few days and we dont expect you to see significant impact on your battery. If you are seeing a problem, please do tell us (just tap feedback in the app settings). We take user feedback very seriously. Google added the Google Now service to its Google Search iOS app on Monday, bringing automatic delivery of weather and traffic conditions for a user's most-traveled routes, real-time sports score and news updates, and flight times or delays. Other information includes local nightlife, special events and even real estate data. Everything is presented in "cards" that appear at the bottom of the app's home screen when a user needs it based on location and time based presets.  The app doesnt turn on the GPS. Instead, it receives passive updates from nearby cell towers and WIFI hot spots.  If your battery is running low, the app pauses location updates.  The app stays asleep unless your device moves a long distance. For users seeing continued problems, the solution described on a number of forums is to disable Google Search's Location Services from within the iOS Settings menu.